This is a delicious upside down peach cobbler. The cake is made from scratch. You can use fresh or canned peaches and even pie filling, for this peach cobbler. Mom made the best cobblers and this is my go to recipe. I love how versatile it is and use this as the basic recipe to change it up for the fruit seasons upon us. This is the perfect cake recipe to match up with the fruits you love and peaches were one of my favorites I can keep summer alive all year long baking this cobbler for dessert. Don't you just love old recipes? They always seem to be the best results for me. This is my go to recipe for any kind of cobblers to enjoy. Hope you love our family recipe too! If you love fruit and cake, this is the recipe you will make time and time again. It's over 100 years old and still tried and true. 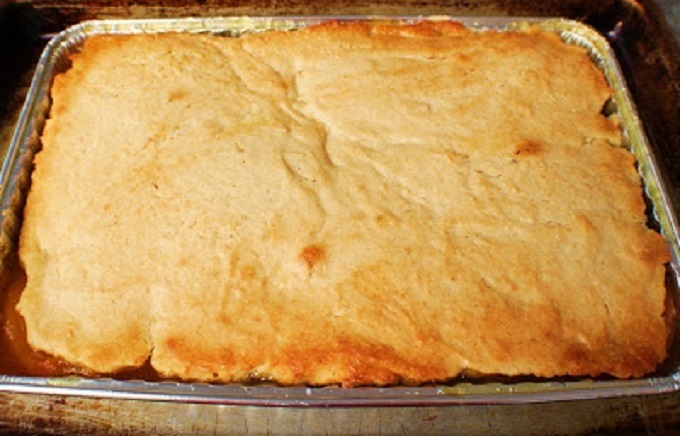 I have tried others and always come back to this peach cobbler recipe. It sure is delicious and so easy to make! Mom made this primarily all through my childhood from the 1950's right up till she passed in 1999. It's one of those cherished memories you keep etched in your mind forever. If you love cobblers, this is the easiest one you will ever make and perfect for any impressive dessert you want to serve guests. You can divide the batter into two of them, bring one to a guests house and save one. I use 9 x 9 pans and divide it evenly, it's that simple. I have never frozen one, if you do let me know how that comes out. I do like to add the butter to the pan, stick in the oven at 350 and let it melt, one less thing to clean. Then just add the brown sugar and stir. If you want to make homemade fruit fillings, just toss 4 cups of fresh fruits with 1/3 cup flour, 1/4 cup brown sugar or more to taste, 1/4 cup water, 1 tablespoon melted butter and 1 tablespoon of lemon juice. The cake is delicious homemade with simple pantry staple items. If whips together in no time and everyone loves the fresh taste of peaches and cream topped cake for garnish. You will be delighted on the outcome and can use just about any kind of pie filling from scratch or store bought. The cake is of course a little more dense than a cake mix. I am sure you can substitute a mix if you are in a hurry and prefer. 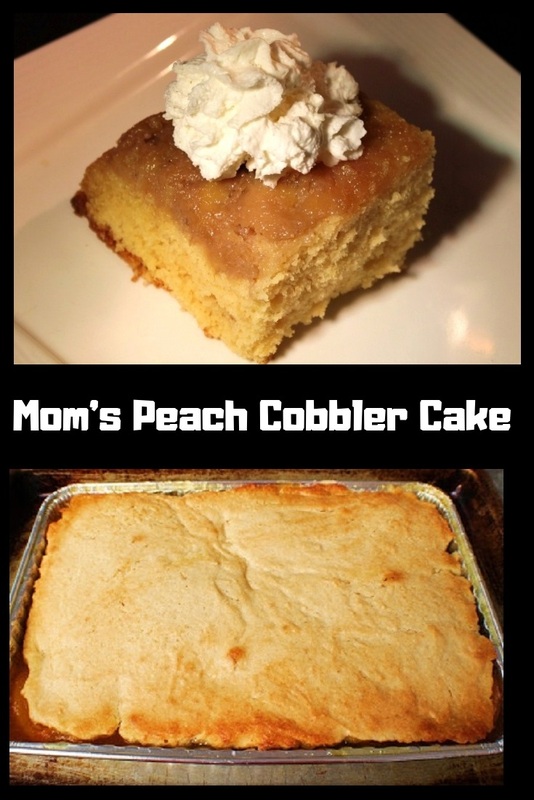 The peach cobbler cake mom made was a special treat to use and mom rarely used a mix. The recipe is not hard to make and worth the extra efforts. Dessert seems extra special when you make this one from scratch and taste fabulous! The peach cobbler cake can be changed to any pie fillings. We also have tried blueberry, pineapple, raspberry and even apple pie fillings for making cobblers. If you've been searching for a great peach cobbler recipe this is it! Seriously one of the easiest cakes mom even made and so versatile, this recipes a keeper! In a brownie style pan place the butter in the pan and place in over at 350 until it melt. Add brown sugar and stir. Place pie filling on the bottom evenly spread out. Spread batter over the peach mixture and bake for 40 minutes on 350 degree hot oven till browned. Serve warm. Great with French vanilla ice cream or any whipped cream. 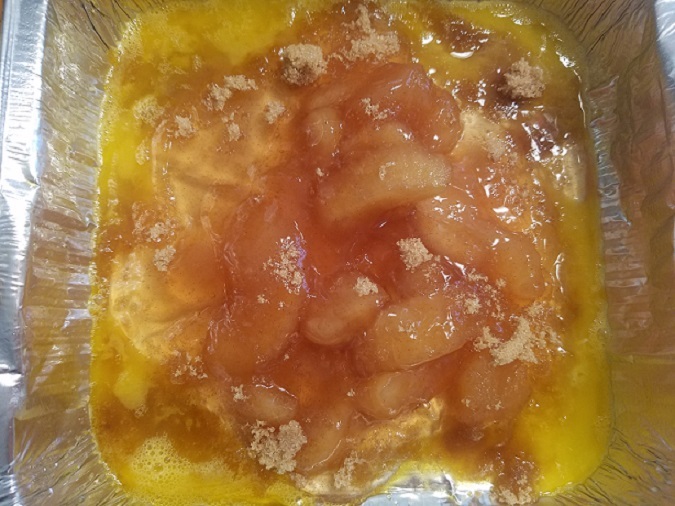 homemade fruit fillings, just toss 4 cups of fresh fruits cut up if peaches and apples with 1/3 cup flour, 1/4 cup brown sugar or more to taste, 1/4 cup water, 1 tablespoon melted butter and 1 tablespoon of lemon juice mix together and place first in pan. Print This Recipe Out or Pin it! This sounds really good...especially with the French Vanilla ice cream. I love peach cobbler! 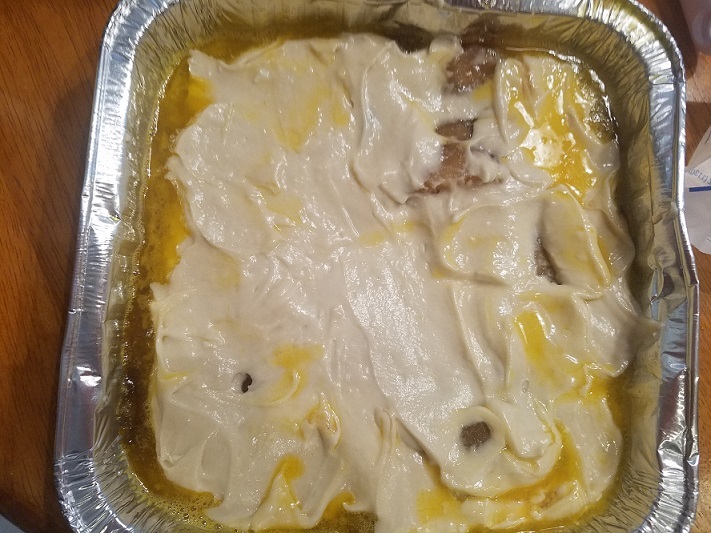 So special that this is your mom's recipe. Hello Claudia, I’m Back From Finland, Arriving With Mr Angry Bird! It's so nice to be greeted by your Peachy Cake, sweetie! This sounds really good! 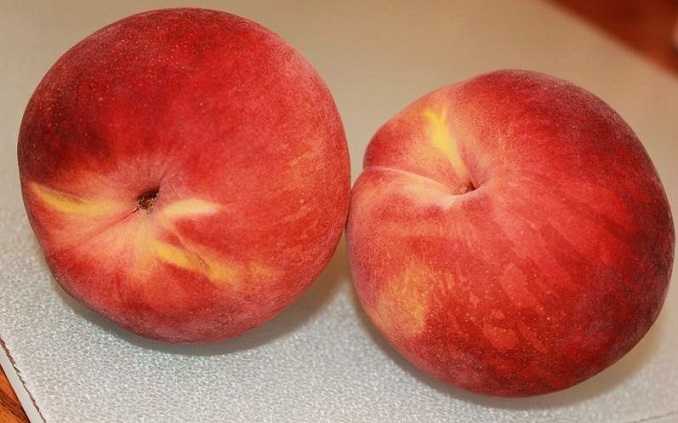 I love fresh peaches. Now show us how does it look like inside? :) Yummy! Oh, my, Claudia, what an amazing dessert! I adore peach desserts...and this beauty is no exception! That sounds so good. I haven't had a good peach cobbler in years! I love these kinds of recipes - cake and fruit all in one pan. So simple and so good! This looks so delicious. I would love a slice of this right now with a scoop of ice cream. Your mom's recipe sounds perfect. Claudia, this looks like a great recipe, I wish I could see it inside, it must be irresistible! super good recipe. I'll definitely try it out and will post it on my blog if I get it right, ha! Looks terrific! Thanks Claudia, and thanks for visiting my blog. You're always a big encouragement! Have a nice week! I haven't had a really good cobbler in so long. You've definitely triggered a craving. A delectable cobbler! Can you believe I never made one? I have to fix that soon! A really wonderful late summer dessert! It's been a long time since I had one of this. What a great reminder. Hope you're well dear. 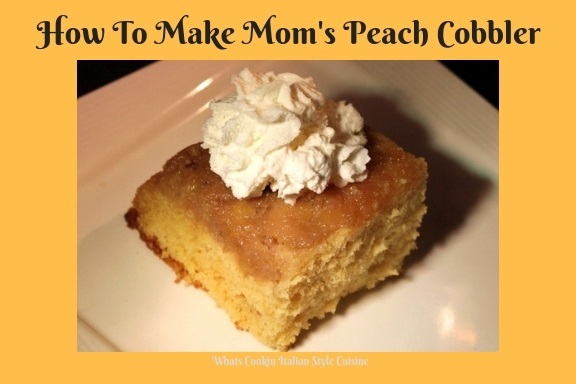 I love peach cobbler but have never had it in cake form - yum!!! I love peaches, but I have never had a peach cobbler before. Looks lovely and moist. I always love a good cobbler recipe, and peach is my favorite fruit. This looks delicious. Can’t wait to try it!